Once your data is collected and managed in a structured manner, you can put it to good use. 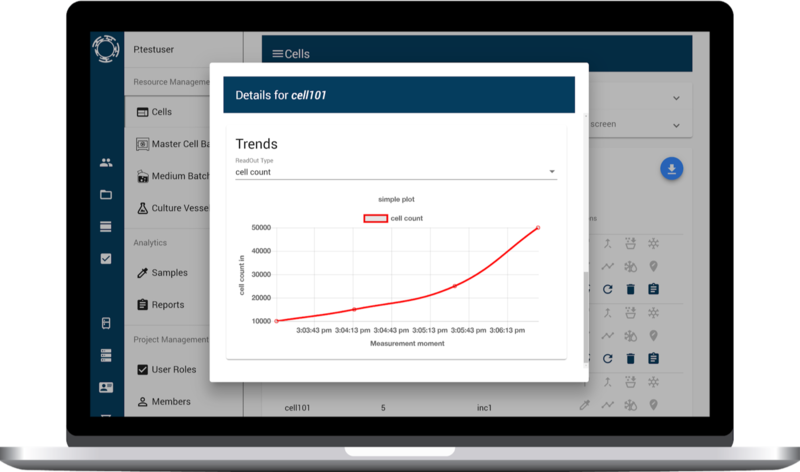 Trending of critical process parameters, analysis of metabolite measurements and generation of growth curves are a piece of cake, but MyCellHub has experience in state-of-the-art soft sensing and data-based predictive models as well. Get in touch to discuss the geeky details or let us know what you need below! Forget gathering documents and spreadsheets with process reports, specify a template once and let MyCellHub generate those reports for you. Get more insights in your processes using our soft-sensing software. Analyse processes, compare batches to facilitate the identification of critical process parameters. Please enter your email address, so we can get in touch with you.